The online learning environment can be a demanding one. Even with the latest advances in technology, we all run into glitches but still want them solved… yesterday. Save yourself a couple of HelpDesk tickets and frantic phone calls with these 10 foolproof resolutions to your technical issues. 1. I can’t submit/upload my course assignments or drag and drop, and the page keeps getting stuck. Solution: Are you using Internet Explorer as your browser? If you’ve ever experienced a myEdison® login fail, the inability to submit/upload course assignments, continually received a spinning loading icon or a missing submit button, the problem is normally caused by compatibility issues between Internet Explorer and Blackboard Open LMS. Switch your web browser to either Mozilla Firefox or Google Chrome to better function with the University’s Blackboard Open LMS system. 2. The Blackboard Open LMS App won't work or access my courses on my mobile device. For iPhone/iPad users: Download Google Chrome for iPhone and go to “my.tesu.edu.” The mobile page will load; go to browser settings and select “Request Desktop Site.” (The browser settings icon is composed of three horizontal lines and can be found in the top right corner of your browser window.) The desktop version should load at that point. This will allow you to log in and access your courses. For Android device users: From the main Android browser, go to myEdison® and log in to the portal; the mobile page will load. Bring up your browser settings, and select “Request Mobile Site.” The page will reload with the desktop version. 3. I can log into Blackboard Open LMS but keep getting an error message whenever I click on my courses. Click on the GRAY “Enter your credentials” link on the error screen above and you will come to this screen. 4. I can’t find my University email account. Solution: Your student email account can only be found within the myEdison® portal. To access it, log into the University portal. Look along the bottom left side where you'll see a block called “My unread messages.” Click the link inside of this block, and a new window will open, taking you to your University email account (which is also part of Google Apps). Along the top of this window you will also find the Google Apps navigation, which includes your Drive, Calendar and more! 5. I’m overloaded with email notifications every time my classmates post in the course discussion boards. Solution: You can control your email notifications through three options within your profile settings: email display, email digest type and forum auto-subscribe. To find these notification settings, click on “Edit profile” within the settings block. These settings control how often you receive an email, what email account is used, what the email contains and whether or not you’re automatically subscribed to a forum in which you post. You can also unsubscribe within the individual forums. Once you're inside the forum, look along the left side for a link that says "Unsubscribe from this forum." You can click this link to unsubscribe. For instructional videos on how to manage your profile and forum settings, visit Edison Create. 6. I’m trying to copy and paste my assignment from a Word document into my course discussion board. Solution: Using right click and selecting copy/paste will not work. When copying and pasting into Moodle, you will need to use keyboard commands. You can copy by pressing Ctrl+C and paste using Ctrl+V. 7. I need to schedule my course midterm and final exam. Solution: Visit the ProctorU site and create an account or log in using your ProctorU user ID and password. Select the "New exam" tab and choose your semester. Be sure to pick the right semester, as that will determine the available test dates you see. Then choose the course and exam you would like to schedule. Select a date from the calendar and a time from the drop down menu. Available dates can be seen in blue and any available slots will be shown in the drop down menu. Click "Add reservation" to add your appointment. If you need help scheduling an appointment with ProctorU, you can call them at 205-870-8122 or email them at help@proctoru.com. Questions regarding the format of your midterm, final or any test-related inquires can be sent to the Office of Test Administration at testing@tesu.edu. 8. I need to schedule an academic advising appointment. Solution: Advising can assist with planning a degree program, provide course advisement and confirm completion of your graduation requirements, however, before you schedule an appointment, you must first be enrolled as a student. You can make an advising appointment by logging into your myEdison® account with students\firstname.lastname and the same password you use for Online Student Services. Scroll down to “Tools & Forms” and you will see the option, “Make an Advising Appointment.” Login with your University ID number and last name. You can then select your degree program, preferred advisor and the type of appointment you would like to make. You can also view any advisor's profile, and select a day and time to speak with them that accommodates your schedule. 9. I can’t log in to my Online Student Services account. Solution: If this is your first time logging into the new Online Student Services site, you will be asked to create your login information. To establish your User ID, use your last name and SSN or University ID. Students will use firstname.lastname as a User ID. You will be emailed a temporary password, and then asked to change it upon your first login. Your new password must be between 6-9 characters in length, and comprised of letters and numbers. If you have already established your User ID and do not remember your password, you can view your password hint or reset it under the “User Account” section at any time. 10. I am trying to buy my course materials. Solution: You can order your textbooks and course materials through the MBS Direct Book Store. First select the appropriate term, and then enter the course codes for your courses. Each course code begins with a three letter departmental code (representing the department in which the course is academically based) and followed by three digits to signify the course level. The required texts will then populate and made available for purchase through the site. However, if you are taking a Prior Learning Assessment (PLA) course, you will not have course materials. If you are taking a TECEP® exam, the test description will include a list of exam topics, suggested study materials, information about the test format and sample test questions. For more information on common technical issues, visit the Common Issues page. 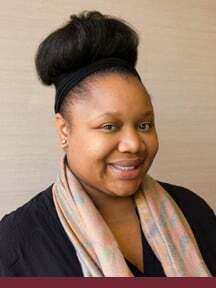 Kay Howard is a senior counselor in the Office of Admissions and Enrollment Services and joined the University in 2012. She earned a master's degree from Drexel University and a bachelor's degree from Fairleigh Dickinson University. She is currently writing her life story/autobiography, which anyone can check out once it becomes a New York Times best seller or a major motion picture. Connect with her via email at khoward@tesu.edu.